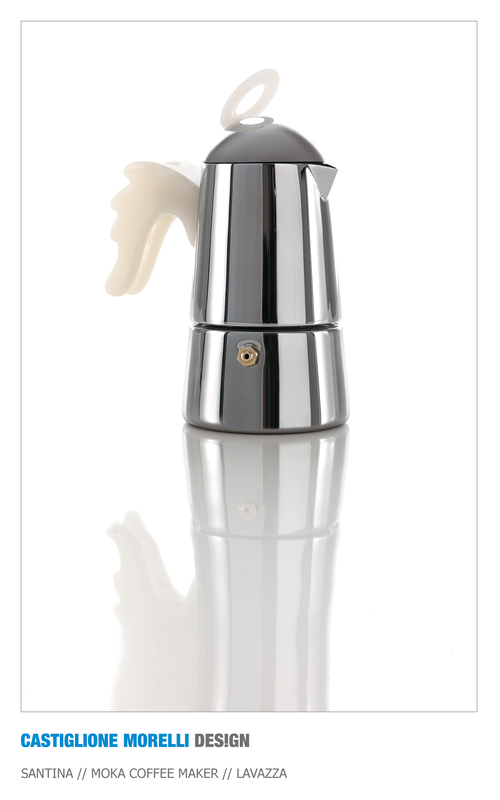 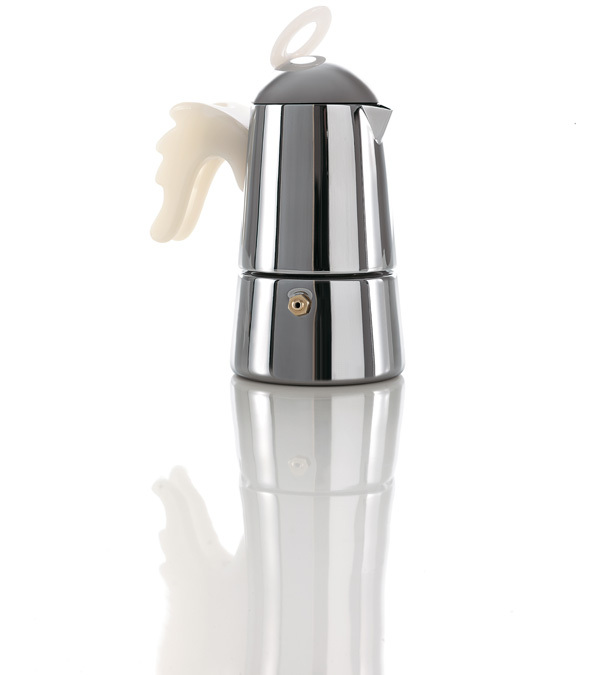 The design operation has been realized directly on one of the most famous product designed by Zanuso: the moka coffee maker Carmencita, a real icon of the Italian design. 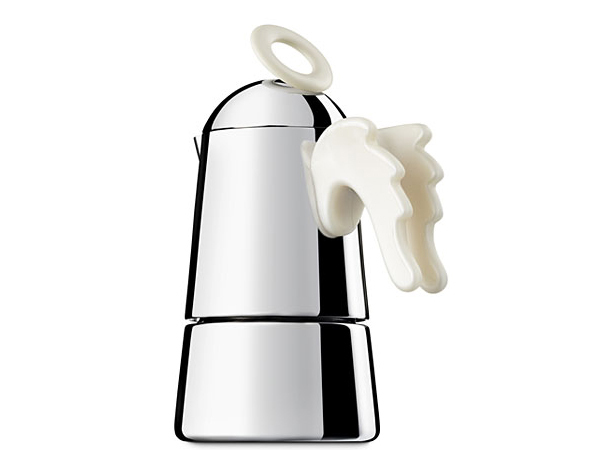 Inspired by Heaven, a new character has been created: the winged moka coffee maker. 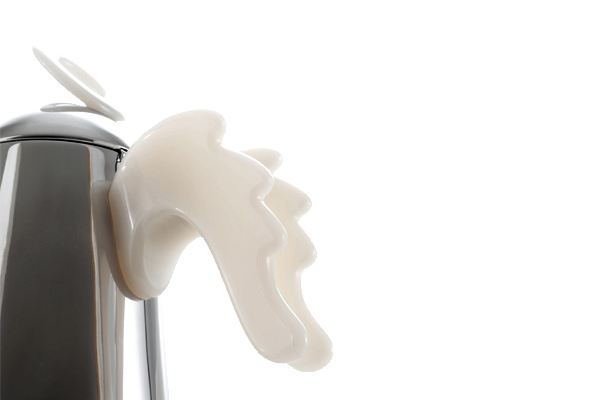 The wings have an incredible fluorescent effect and are a real ergonomic innovation: the new handle, lined up to the spout, makes coffe pouring more natural.